Boston Lyric Opera takes some of its shows on the road to unusual locations through its Opera Annex. This year’s double bill of Schubert’s song “Hagars Klage,” D. 5 (Hagar’s Lament) with the one act chamber opera, Clemency, by James McMillan in its US première, will play at Artists for Humanity EpiCenter, 100 West 2nd Street, South Boston on February 6th through the 10th. 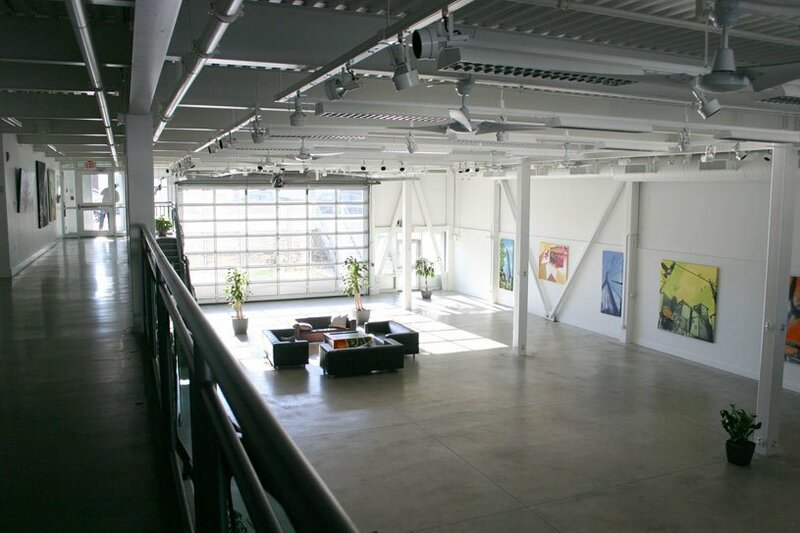 The venue is a flexible, modern, balconied shoebox with fairly decent acoustics according to BLO sources. No amplification will be necessary. The five singers will appear on a raised platform while the instrumentalists will be seated on the un-raked floor. Ticketing is here. The bill’s linkage is through portions of Genesis, being set at an essential moment for the survival of the Abrahamic lineage. Sarah is barren, and at the advanced (!) age of 33 (according to one precise scholar) unlikely to conceive. (Others of us remember her age being the mythically important age of 99 in this tale—that being a round and large number consonant with “very many” in these texts.) Still, there is need of a child. What to do! Schubert treats Haggar’s double-role as Sarah’s handmaid and the mother of Ishmael in a 15-minute song which soprano Michelle Trainor, a BLO Emerging Artist will sing with pianist Brett Hodgdon, a laureate of the BLO Emerging Artists program who will also be part of the 21-piece orchestra playing for Clemency. Clemency’s libretto by Michael Symmons Roberts concentrates the intimate drama on the moment in the biblical narrative when Abraham and Sarah meet three angelic visitors who announce that Sarah will indeed produce Abrahams’s son, Isaac. 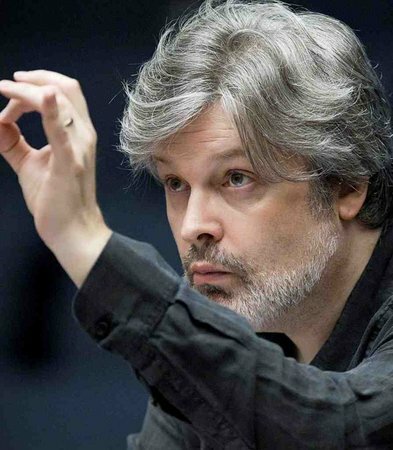 Scottish composer James Loy MacMillan has had many notable successes, including a St. John’s Passion commissioned by the Boston Symphony Orchestra and the London Symphony. Colin Davis brought the work to BSO subscription concerts in 2008 for the US premiere. MacMillan was born July 16, 1959 in Kilwinning, Scotland. After earning a B. Mus. at the University of Edinburgh in 1981, he took a Ph.D. in composition at the University of Durham in 1987, where he worked with Casken. Following his return to Scotland in 1988 he shifted from an earlier, modernist course to one more influenced by the Polish experimentalism of composers such as Lutosławski and Penderecki. According to Grove Music, from this period begins his more directly expressive style, one which reflects his own abiding interests in Latin American liberation theology, “Roman Catholic faith, socialist sympathies and feelings about homeland.” He quickly achieved success with the music-theatre piece Búsqueda (composed 1988; premiered at the Edinburgh International Festival, 1990), which is scored the same as Berio’s Laborintus II and has the addition of Scottish folk elements. The result is a “melodic expressivity” with a “sharply defined rhythmic character” that is “something quite new.” This was followed by the orchestral The Confession of Isobel Gowdie (1990), taking as its theme the burning of a Scottish woman labelled as a witch at a seventeenth-century “trial.” During the 1990s, MacMillan’s works became more overtly religious: the 1992 percussion concerto, Veni, veni Emmanuel; the opear Inés de Castro (1991 – 1995); Triduum, an Easter trilogy comprised of The World’s Ransoming (1995 – 1996, for English horn and orchestra), a cello concerto (1996), and his first symphony, Vigil (1997). There is also his first string quartet in one-movement, Why is this night different? (1997). In these works, according again to Grove Music, an “eclecticism and characteristically intense expressivity are combined with a deepening sense of formal purpose.” This combination continues in his Magnificat (1999) and several Masses. The BBC Symphony Orchestra surveyed his music in early 2005 under the program title, From Darkness to Light. He has collaborated with the Catholic poet Micahel Symmons Roberts as well as Rowan Williams, the past Archibishop of Canterbury. At the same time, political concerns remain central to MacMillan; a fanfare composed by him accompanied Queen Elizabeth II into the Scottish Parliament in 1999 (the first time that body had been convened since 1707). 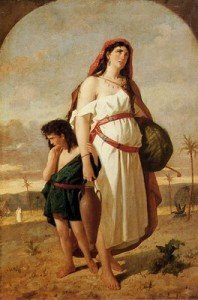 BMInt: What drew you to the story of Abraham, Haggar and Sarah? MacMillan: The production in Boston is a double bill. My opera, Clemency, has five characters – Abraham, Sarah and the three visitors. Haggar is in the other piece, “Hagar’s Lament,” by Schubert. Did your librettist, Michael Symmons Roberts, treat the biblical text as broadly as Mann did in his Joseph Trilogy? Michael’s text is much more focused on a single incident. It is not expansive, like the Mann. It is deliberately concise, finding its own openness and questioning in different ways. My piece relates only to the Hospitality of Abraham or the Oaks of Mamre story from Genesis when they are visited by three mysterious characters. It’s an interior drama. Though is there some plot and action, it is small scale and very intimate. Is there any political context to the work? Christian, Muslims and Jews have had very different feelings about Ishmael, Isaac and Abraham, “Call me Ishmael” indeed begins one of the great American novels. My work is deliberately ambiguous even though it can be set in the present day. This is the second production the opera has had, and both directors have pointed to contemporary situations in their treatment. Therefore there is an unmistakable political implication in what will be seen.